Do you love the tv show Charmed? 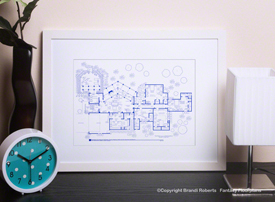 If so, my enormous, precisely drafted Halliwell Manor floor plan is sure to delight! 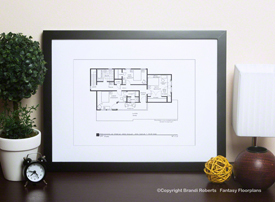 My first floor features a formal sitting area, den, dining room, kitchen and laundry. You'll find the spirit board around here somewhere along with the Book of Shadows. Drawn with precision, my incredibly detailed fictional floor plan for Halliwell Manor is sure to amaze your friends and family! Makes an excellent conversation piece! 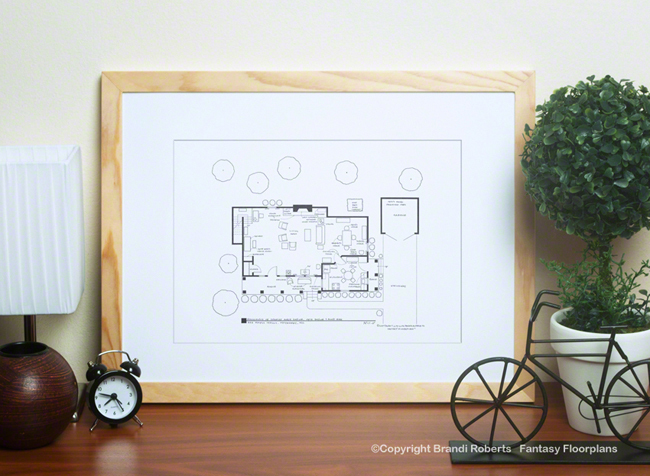 Pair this Charmed poster with my floor plan for the second floor of Halliwell Manor. You can find it here. Put them on your wall and together you and your Charmed fan friends can reminisce about all your favorite Charmed moments! ©Copyright Brandi Roberts. Copyright is not transferable with sale.